Is there a bird with a more beautiful eye? Last weekend Lita and I spent a full day of birding at Green Cay, Wakodahatchee and Loxahatchee. AT the end of the day we were back at Wakodahatchee to practice our panning shots on the cormorants. I feel so out of practice with panning! No new birds to add to the life list but the Neotropic Cormorant that was at Wako last year is back, occupying the same nesting spot. I saw some Neotropics in June while in Costa Rica but the only shot I was able to get was from quite a distance and while in a moving boat. Next time. There is always a next time, right? 😉 Click on the images to see larger views. 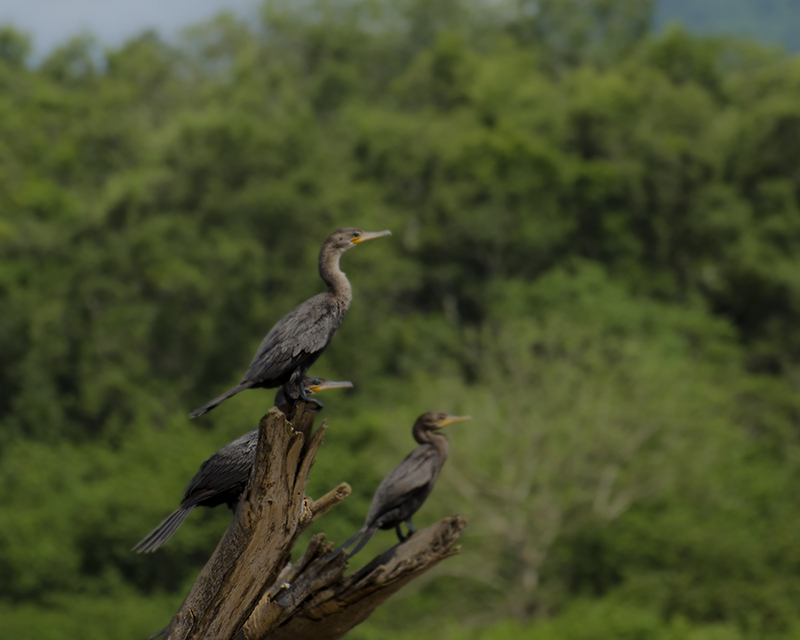 Neotropic Cormorants on the Tarcoles River in Costa Rica. The best picture I could get of them. These were the only ones I spotted while there.